Every year during the second week of August the largest medieval festival in Europe takes place in the old Hansa town of Wisby. Over 40 000 visitors besiege the town in the hight of summer and brings it back several hundred years in history. In a raffle of tastes, smells, colours and tunes the world heritage city lives and breathes medieval times once again. As a contrast to the huge market down by the ocean Kapitelhusgården offers a more intimate environment beside our stage and restaurant. Quality crafts are offered as well as classes and lectures. The sounds from the blacksmith intertwine with flutes while visitors can find fabrics, ceramic, leather craft and jewellery. Or why not learn how to braid hair like a Viking? No evening at Kapitelhusgården in complete without music! 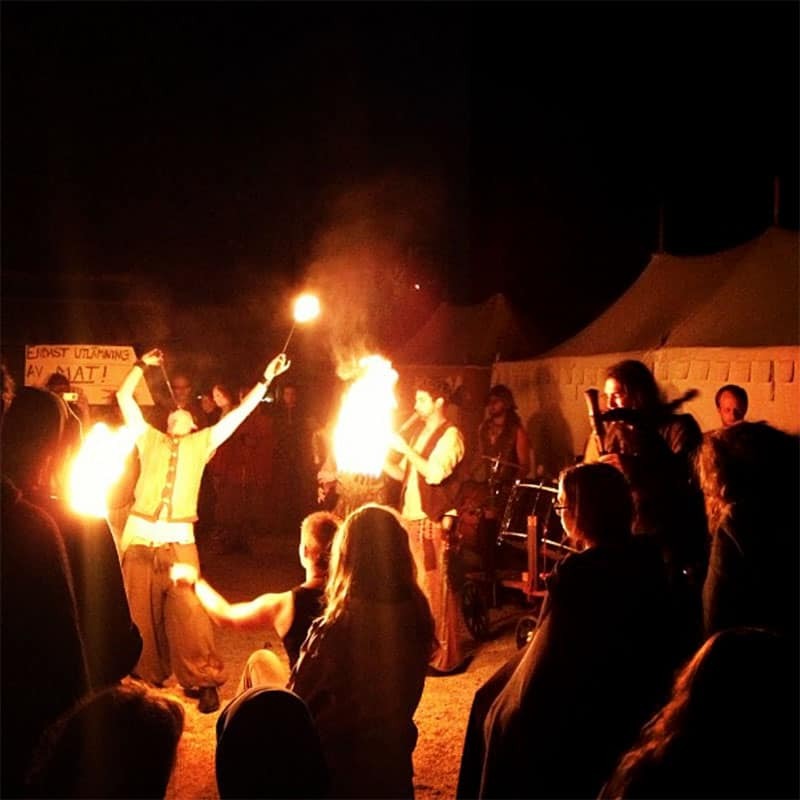 We host concerts daily both in the garden and tavern, but also story tellers, jesters, dancers and magicians. This summer we hope to fill our stage with even more performers of different kinds!